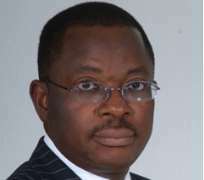 Intercontinental Bank's Erastus Akingbola a.k.a. the Madoff of Nigerian banking, yet another reason – if any were indeed needed – not to return to Nigeria. The EFCC declared Akingbola and his Oceanic bank counterpart, Cecilia Ibru, as fugitives, wanted by the law. The anti-graft agency said in a press release that the two are “wanted in connection with fraudulent abuse of credit process, insider trading, capital market manipulation and money laundering running into billions of Naira” and will be arrested on sight for failing to honor the EFCC's invitation. Huhuonline.com has learnt from EFCC sources that as the noose tightened around Ibru's neck, the quite respectable General Overseer and elders of the Redeemed Christian Church of God (RCCG) where Ibru worships were trying to persuade her to come out of hiding and surrender and save herself and the church the embarrassment of being declared wanted. But the abrasive Ibru remained obstinate and vowed to fight CBN Governor Lamido Sanusi to the finish. Ibru, in a terse statement two days after the CBN hammer fell, said that the action was questionable and did not meet the rule of law. In another letter to the CBN Governor and his management, Ibru asked the apex bank to 'reconsider and reverse' the steps taken on August 14, 2009 pursuant to sections 33 and 35 of the Banking and Other Financial Institutions Act (BOFIA) in view of the “grave injustice” done to the bank, its shareholders and management. Through her lawyers, TRLPLAW, Ceciia Ibru in the letter signed by the firm's Managing Partner, Mr. Ajibola Oluyede, said she was raising these issues because of the serious accusations before and since the event, adding that Sanusi came into office with an "agenda to change the ownership structure of the banking industry". Covered by the blood of Jesus, InterContinental's Dr. Erastus Akingbola sneaked out of the country to London, ostensibly for medical reasons in a private jet owned by Jimoh Ibrahim, himself named in the list of debtors. Akingbola had gone to the Federal High Court in Lagos to challenge every action and statement of Sanusi and the CBN on the matter of his purported removal, the legality of the audit carried out from which the apex bank made its decisions and why he should be labeled at all as incompetent by the CBN. He told the Court which has since granted his preliminary reliefs that he was not given fair hearing, a proper audit of a mega-organization such as his bank did not follow the Act of the CBN saddled with supervisory role of banks, and that all his actions were guided by the best of intentions for a bank he has been superintending for many years. The actions of the CBN Governor have opened an avalanche of complaints and a plethora of protests by some of the stakeholders. Besides threatening to sue the apex bank for libel of his character and lowering the reputation of his business empire, Jimoh Ibrahim, (who provided his private jet to fly Akingbola to London) argued that he has "performing loans" in the two banks in which his business name appeared. In that of Oceanic Bank where his company, Global Fleet Group, was alleged to owe N14 billion, he said that it was not true. He threatened to sue the CBN for "lying about the amount" involved. Other high net-worth individuals also listed by the CBN have either challenged their indebtedness or that their companies, not they as individuals, were in debt. They include: Prof. Ndi Okereke-Onyuike, Director-General of the Nigerian Stock Exchange (NSE); Chairman of Obat Oil and Petroleum Company, Fredrick Akinruntan; President of Zenon Oil and chairman of African Petroleum (AP) Plc, Femi Otedola; the President of Dangote Group, Alhaji Aliko Dangote; Rockson Engineering Company; amongst others. Mrs. Okereke-Onyuike had to speak up after her employer, SEC, queried her role in the debt saga of Transnational Corporation (Transcorp) Plc of which she is the chairman. She explained that she is not owing any bank in her personal capacity, saying the figure owed the bank was "relatively high" as a result of "compound interest." Transcorp, according to the CBN, owes Union Bank N30.86 billion as at May. She said the debts arose when Transcorp wanted to acquire 51 per cent stake in Nigerian Telecommunications (NITEL), adding that the firm had raised N22 billion through its Initial Public Offering (IPO) from which it paid N19 billion from the debt. Obat Oil's Akinruntan described the inclusion of his name in the debtors' list as embarrassing, claiming that the report did not reflect the reality on ground as he has been servicing his loan of N2.5 billion. He was listed as owing Oceanic Bank N4.47 billion. Similarly, Chairman of Rockson, Senator Aniete Okon refuted the charge of mega-debtor to Intercontinental. He explained that the loans in question were obtained by his company for implementation of the Independent Power Projects (IPP) it was handling for the Federal Government. The IPPs are the Alaoji (1,072 mega watts, mw), Gbarain (225mw), Egbema (338mw) and Omoku (230mw) and the debt was not N36.9 billion as claimed by CBN but N14.4 billion. He described the publication of the list without adequate verification on the part of the CBN as unfair and unnecessary. The firm's Managing Director, J I A Arumemi-Ikhide, noted that the loan was secured with due regards to the standard procedures. He disagreed that the loan was "non-performing," and cautioned against actions that could erode confidence in the Nigerian economy. In a similar tone and texture, the President of Dongote Group, Alhaji Aliko Dangote said that the published list was a gross misrepresentation of the facts. In a statement by Dangote Industries' management, it refuted the listing of Alhaji Dangote as a director and shareholder of Dansa Oil and Gas Limited, said to be indebted to Intercontinental Bank. It argued that Alhaji Ali Dangote listed as a director of Dansa is the son of Alhaji Sani Dangote and he is quite different in all materials particular from Alhaji Aliko Dangote. The management however said that debt of Dangote Industries Limited with Oceanic Bank valued at N2.526billion was still a subject of dispute that would be resolved very soon. The hunt for Ibru and Akingbola came after the EFCC Saturday, arrested two more bank directors in Lagos - John Maha, Managing Director, Afribank Securities Limited, a subsidiary of Afribank, and Niyi Opeodu, Managing Director, Union Capital Market Limited, a subsidiary of Union Bank. Both men have since been detained at the anti-graft commission office in Ikoyi. The arrest of Maha and Opeodu however makes it 15 bank chiefs that have been picked up by the EFCC since the CBN commenced the onslaught in the banking sector. The EFCC had earlier frozen the bank accounts of all the sacked bank CEOs. No one could have correctly predicted the direction, speed and destination of the bank debts battles, which the Central Bank of Nigeria (CBN) unleashed on the nation penultimate Friday. But what is beyond dispute now is that the unfolding saga has moved at dizzying speed from the banking halls to the courtroom and then the Economic and Financial Crimes Commission (EFCC)cells.